As well as announcing their new Surface PC, Microsoft also announced a new Surface Book, the Microsoft Surface Book i7. The Microsoft Surface Book i7 comes with the latest Intel Core i7 processors and it comes with a choice of 8GB or 16GB of RAM and between 256GB and 1TB of storage. Surface Book with Performance Base, the most powerful Surface Book yet, packs 16 hours of battery life into the same sleek, versatile design people love. It has more than twice the GPU processing power than the original Surface Book. No other laptop combines this combination of battery life, performance and pixels, in as lightweight a package. The device has a 13.5 inch display with a resolution of 3000 x 2000 pixels and it comes with NVIDIA GeForce GTX 965M graphics. 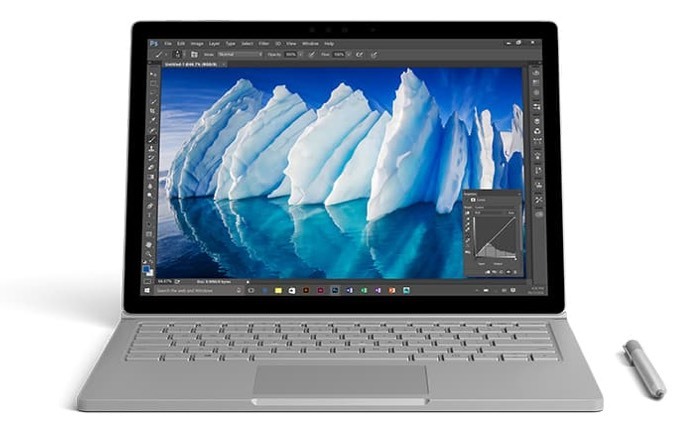 Prices for the Microsoft Surface Book i7 start at $2,399 and go up to $3,299, the device is now available to pre-order and you can find out more details over at Microsoft at the link below.